Smartphones have taken our lives to a new dimension. However, they bring up a few issues with them. Low storage is one of them. Your phone is bound to give you the low memory error at least once in your lifetime. What would you do in such circumstances? Deleting the files that are larger enough â€“ that could be one of the solutions. But, will it not force you to lose the important files? Will it not leave you having to download them again thereby making you lose your data? 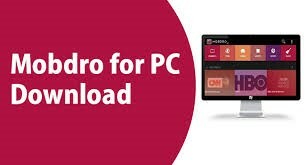 One of the best options that would help you in such a scenario is to transfer your files to external storage. MoveIt is one such able app for Android. This article will provide you comprehensive MoveIt Movie Review. Well, as we have already seen, MoveIt is an Android app that helps you transfer your files from the internal storage to the external one. It can be treated to be the ultimate option for transferring audio, video, and image files to your microSD card and vice versa. It helps you perform the transfer process in simple and easy steps. 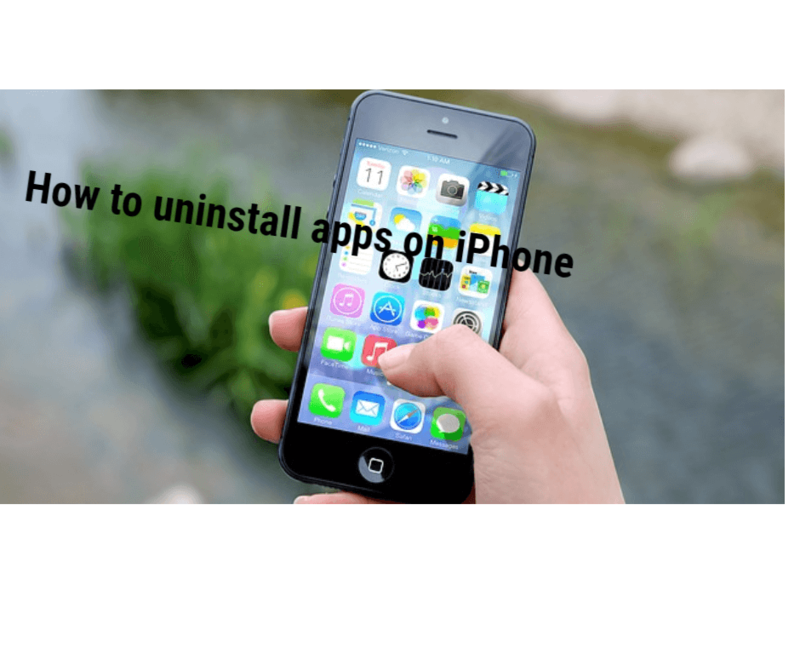 It also has a few additional features that would make it a good multifunctional application on your phone. The app also comes with an Auto Transfer feature to make the transfer process automatic. More on that later in the article. 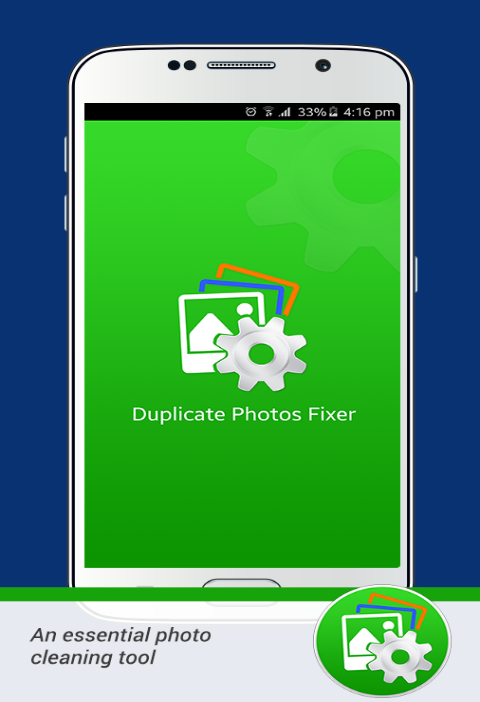 Transferring Files from Internal storage to SD Card and Vice Versa â€“ This is indeed the first and foremost feature of the app. You can transfer files from your SD card to internal storage and vice versa. Cleaner â€“ The MoveIt app comes with a cleaner app within. In addition to the transfer of files, the tool also lets you clean up your phone memory of junk files. 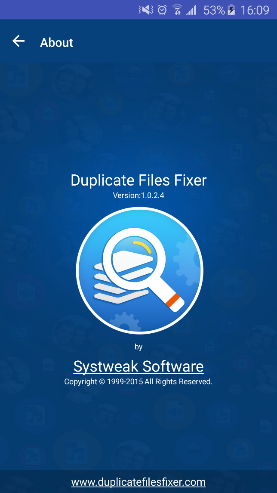 It can clean up APK files, cache, temp files and redundant thumbnails. 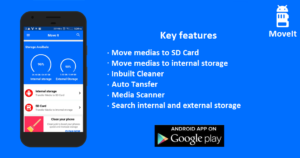 Media Scanner â€“ That is yet another worthy feature that makes MoveIt a multifunctional app. It can scan all media files on your phone. Once the scan is complete, your files will be displayed in separate tabs for Audio, Video, and Images. Search â€“ You may have recently downloaded or transferred a new file onto your phone, but have forgotten the location where it has been saved. The search function helps you find the file if you remember the name of the file. Audio Player/ Video Viewer – MoveIt comes with a built in player/viewer. It would be helpful in viewing the file before transferring it. Though the player may not be able to provide you an excellent audio or video quality, it is, nevertheless a thoughtful addition. Auto Transfer â€“ This is the feature that makes it worth installing on your phone. In fact, you can transfer the files manually between internal and external storages even without an app. But, Auto Transfer is a feature that makes it a great option. The app will automatically transfer your files to the external storage. Delete Files â€“ MoveIt not only helps you transfer your files between the storage options. You can also delete the files if you do not want them. We should also mention the interface of the app in addition to the salient features we mentioned above. The app has a simple interface. This would be helpful in using the app if you are one of those who are not tech experts. MoveIt is available on Google Play Store. You can download it from the link https://play.google.com/store/apps/details?id=moveit.movetosdcard.cleaner. Â The app has garnered a rating of 4.4 on Google Play Store. It can indeed be treated as a proof of its functionality and performance. We normally download several files from the internet. These will take up huge memory on your device. This will necessitate moving the files to the external storage. Moving them manually can be a tedious process. MoveIt can be your efficient companion in this task. MoveIt is indeed a perfect app for moving your files onto your external storage from the internal memory and vice versa. The files are arranged according to the date and arranged in separate folders. You will not need to search for them manually. Apart from helping you in different ways as outlined in the above paragraphs, it also serves you as a Media Manager. Have used the app? If you have, we would love to hear about your experiences with it. Do share your views with us.